oh, that is such a sweet painting, you could be illustrating children’s books. Love it. And Annabelle, I remember my granddaughter doing that, but I think she was older, so you’re starting young!! so good to know that you are both doing well. Such a sweet picture! Love the story behind it. Love the painting and the little girl should be so happy with it. 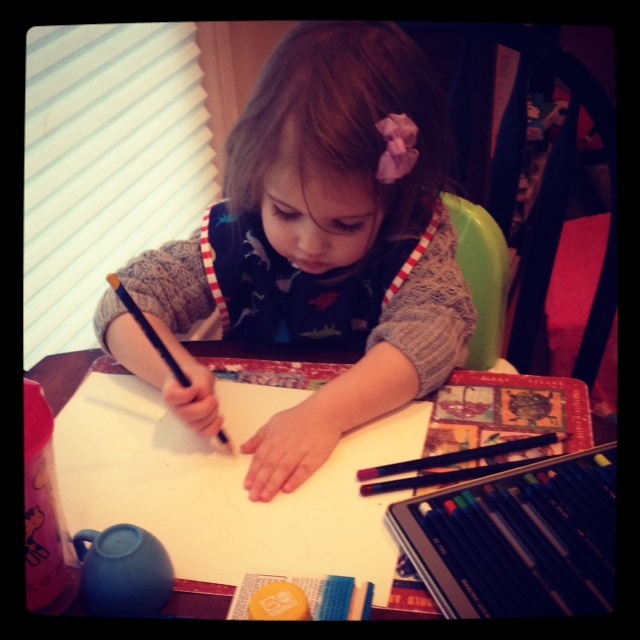 Annabelle is so cute tracing her hand … a budding artist for sure . That looks like the cover to a children’s book. Very magical. 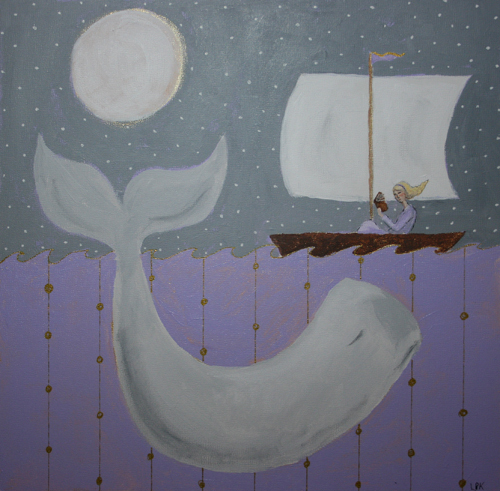 What a lucky little girl to get the whale/book/girl painting. So much wonderfulness there!! And wow, I actually said “awww-hooo hoooooo” when I saw Annabelle, such focus! So glad you are her Mommy and she is your little girl!! Such a peaceful and beautiful painting, a wonderful gift!